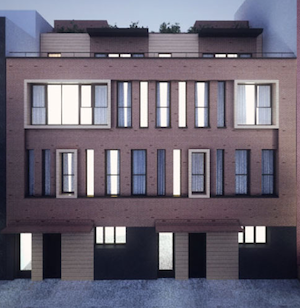 The Mark, a new boutique condo in Prospect Heights, has released a teaser site. The building at 268-270 St. Marks Avenue will have six two-, three- and four-bedroom apartments ranging from 1,433 to 2,338 square feet. The townhouse-style units will have private gardens “from 700 square feet,” according to the site. The parcel between Underhill and Vanderbilt avenues sold in December 2010 for $1.225 million. No details on pricing yet, but we’re kind of mesmerized by the varying windows in the facade. A touch of Mondrian in Brooklyn, perhaps?